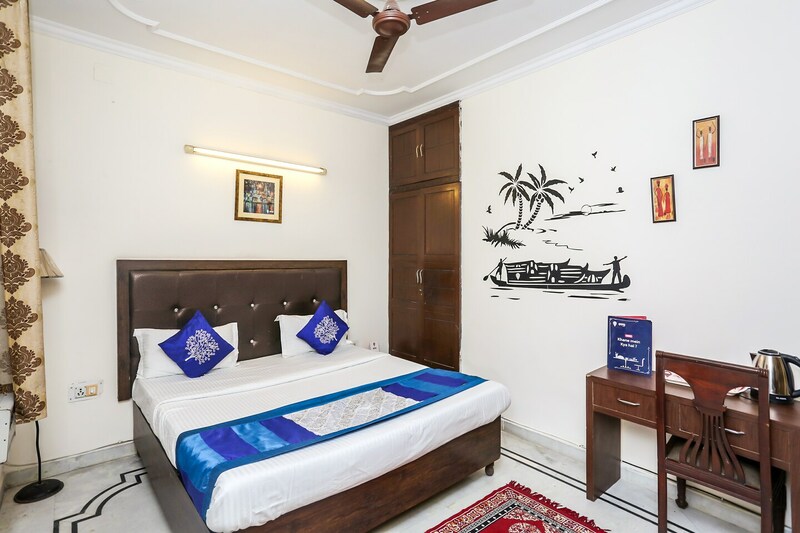 Located in Janakpapuri, ASR Guest House is a budget property offering great connectivity to all the popular attractions in Delhi. Some nearby places of interest are Sulabh International Museum of Toilets, Santoshi Mata Mandir, ISKCON Temple Dwarka. The rooms offered by ASR Guest House at compact and warm. The room have been decorated in the hues of blue and white. The walls have been decorated with wall decals to add fun vibe to the room. All the rooms offered by the guest house include a king-sized bed, AC, TV, electric kettle and geyser in every room. Additional facilities include parking facility, room heater and card payment.